If only it were that easy… Carmen Argote’s performance curated and produced by 18th Street Arts Center for the REDCAT-organized Pacific Standard Time Festival: Live Art LA/LA is an amateur motorcycle rally organized around an architectural mind map of the artist’s making. The work centers on a social exploration of motorcycle riding as a cognitive dream space akin to the “zone” or “flow” of artistic creation, inviting artists and culture workers who ride motorcycles themselves to collectively teach the artist about riding and about life. 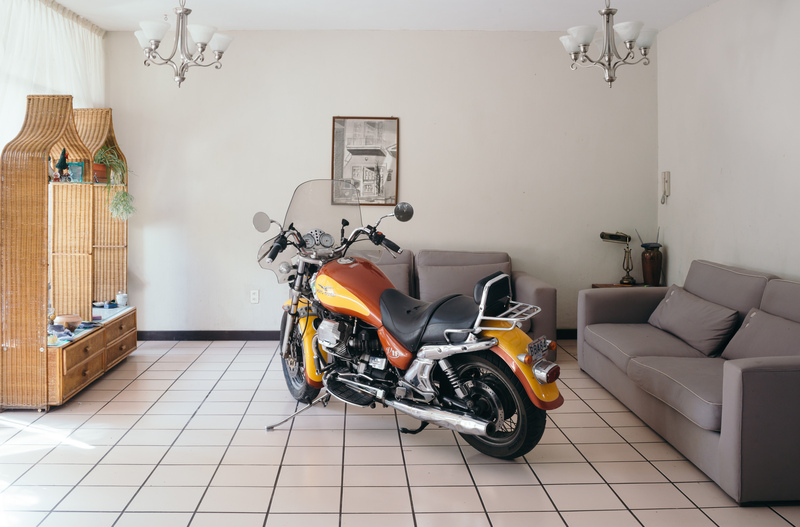 Argote will create the riding environment for the performance based on shapes created by the overlapping of floor plans from her childhood home in Pico-Union and her father’s house in Guadalajara. Collaborator-participants will choreograph movements on the course on their motorcycles, all the while telling story of their own experiences with cycling and domesticity.